The powerful Intel® Core™ m3 processor makes it easy to stay productive on the go. 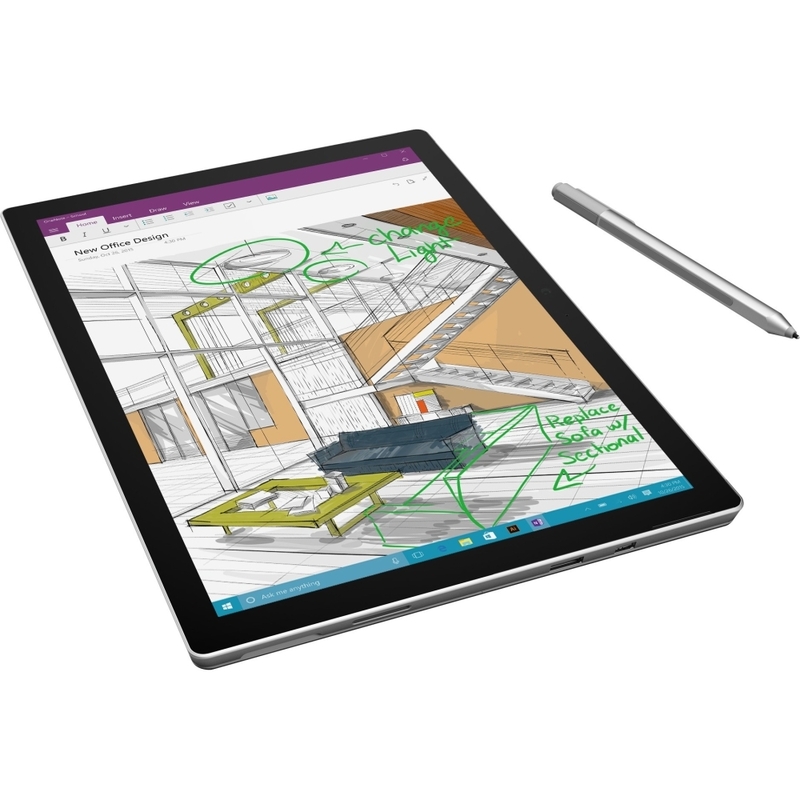 Tap and touch the vivid 12.3" HD touch screen using the Surface Pen, or connect to the Web to read the news or watch your favorite TV shows. Payment Plans and Total Costs: The advertised payment is the estimated minimum payment required to be made on your Tronix Country Account for a single item order. If you have multiple items then the advertised payment and term may not apply. All amortized payments may not be less than $9.99, which may shorten the expected time period for you to pay off the balance. We do not offer variable rate financing. If you purchase this item priced at $2,419.99 with a Weekly payment amount of $17.99 for 135 Weekly payments, the total you will have paid, including activation and shipping is $2,459.98. You can deduct $968.00 if you purchase this product using our Accelerated Payment Plan, which amortizes the payoff period to six months or sooner. This price also includes any free gifts you may receive based upon our Reward Points program. This total paid does not include if you purchase additional items or if there is a returned payment other fees are incurred. You will be presented with the total amount you will pay for your purchase using our 0% APR financing, according to Terms and Conditions. We do not offer variable rate financing.